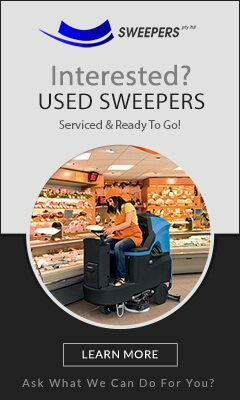 Did you know Sweepers PTY LTD offer sweeper machine rental via our sister company. Sweepers can provide you with short or long term rentals on Sweepers and scrubbers. Let us Visit your site to do a free appraisal and recommend the right machine for the Job. Rather than put up with dust and dirt and an unhealthy workplace. Sweepers will rent you a Industrial machine to help you keep a healthy work environment for your employees. Health and Safety are vital issues in the work place using the correct equipment can give you peace of mind and a better cleaner work environment in your plant, factory, distribution warehouse, manufacturing or car park areas. Let us help you look at your particular site requirements so that the machine we provide will be the correct solution not just a brand! or a sale. Valuable capital can be freed up by choosing to rent a large Industrial sweeper or scrubber, we can provide a package that Includes a maintenance agreement to ensure for both parties the machine is kept at peak operating performance. It is common that old sweepers are bought to save on the initial purchase price, this is not always the best option if you have a busy work load for the sweeper. Also the wrong size machine or Incorrect filter type can mean the sweeper can be unsuitable for the duty cycle and thus cause continued frustration. Let us help you chose the right machine and avoid costly upgrades or heavy maintenance which will blow out the whole of life cost. Our rental machines can give you a new working machine for a fixed price rental with minimum maintenance. We have used rental equipment for the users that do not have such heavy sweeping loads and the sweep time maybe small and the requirement for a new machine not so critical.